Need Next Day Garage Door Repair in San Diego County, CA? We rarely think about our garage doors but when a problem occurs we want it fixed fast. 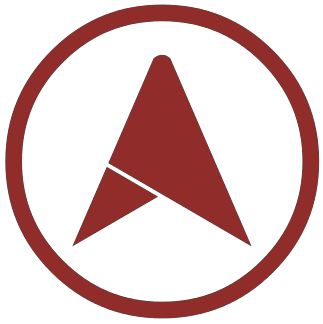 Aptera works to manually review our partners that provide garage door repair in San Diego to make sure they are qualified and built for speed. Rushing to get to a meeting on time and finding that your car is stuck in the garage with an inoperable door can leave you desperate. Don’t call a fly-by-night company out of desperation; find the best garage door company in San Diego, Chula Vista, Oceanside and Escondido who offers affordable repairs that are done right. How can you ensure the garage door company in San Diego you choose uses only qualified technicians? There are several certification agencies including DASMA (Door & Access Systems Manufacturers Association International) and IDA (International Door Association) that offer voluntary programs for overhead door installation. Ask your overhead door company in San Diego County if the techs are certified and if the company holds a current license (you can verify this with the local licensing authority). Also, make sure the company is bonded and insured to protect yourself from poor workmanship and accidents on your property. Once you find at least two companies that meet licensing, certification, and insurance requirements, it is time to compare bids. Make sure each written, signed bid is for the same scope of work and lists details of the project. For example if you have requested pricing for garage door installation in San Diego County, do all bids include the cost of materials and removing the old door? Ask if there are any additional costs that are not included in the quote; if so, get those in writing. Finally, ask for references from previous customers. The best garage door service in San Diego County is one with a great track record, proven results, and fair prices. Available in a multitude of styles, each type of door will present various types of problems. Additionally, the fluctuating climate in San Diego County, the frequency of door use, and the age of your garage door can each add to the challenge of diagnosing the repairs it needs. Find out more about common overhead door problems and their causes, as well as what you can do to make sure your garage doors in San Diego continue to operate with ease. The door will not open or shut; this could be as simple as something stuck in the track, but it could also indicate an unevenly hung door. San Diego garage door repair professionals adjust the tracks, springs and other components—often without replacing parts. The cost is around $75 for the initial service call, plus the company’s hourly rate. Even though broken springs are the most likely way for your door to break, most will actually last around 15,000 cycles (a cycle is when the garage is opened and closed once). Higher end door springs can last over 20,000 cycles. If your car is trapped in the garage you can use the emergency cord to release the door from the motor, but you will want to have the springs replaced as soon as possible so you don't have to manually open and close it. Note that the springs above the door are torsion springs and tension springs are along the side. The cost for replace garage door springs in San Diego County can range from $140 to $390, depending on the model. Having a garage door company in San Diego County service your equipment on an annual basis can help prevent sudden and major repairs. Budget around $70 for annual maintenance calls—the repairman will inspect, tune, adjust and lubricate your overhead door for this price. Tip: look at this as a minor investment that will save you the hassle and costs of major repairs down the line. 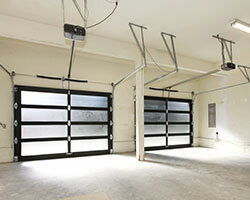 Commercial overhead doors in San Diego County come in styles to meet the needs of any business. Sectional doors are durable and have high efficiency ratings while aluminum and glass doors provide excellent natural light and a nice aesthetic. Rolling steel commercial doors have options for increased opening or closing speed, are secure, come in fire-rated varieties and are perfect for loading docks or businesses that need extra security. 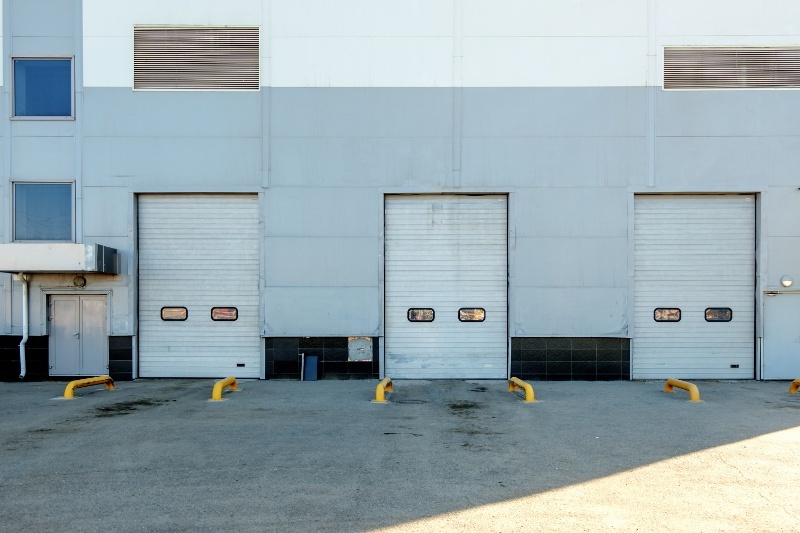 For businesses that load and unload tons of goods every day, a reliable overhead door is critical to keep the business running. And when not in use they serve as the first barrier of protection for your inventory. Emergency commercial door service in San Diego is available 24 hours a day for these very reasons. Each brand has a unique set of positive attributes. Most garage door companies in San Diego, Chula Vista, Oceanside, Escondido and Carlsbad carry multiple brands such as Amarr, Clopay, C.H.I., Raynor, and Wayne Dalton to meet the various needs (and budget!) of our customers. San Diego garage door repair costs $245, garage door opener repair costs $178. Chula Vista garage door repair costs $284, garage door opener repair costs $207. Oceanside garage door repair costs $287, garage door opener repair costs $209. Escondido garage door repair costs $247, garage door opener repair costs $180. Carlsbad garage door repair costs $280, garage door opener repair costs $204. El Cajon garage door repair costs $255, garage door opener repair costs $186. Vista garage door repair costs $263, garage door opener repair costs $192. San Marcos garage door repair costs $242, garage door opener repair costs $176. Encinitas garage door repair costs $235, garage door opener repair costs $171. National City garage door repair costs $222, garage door opener repair costs $161. Phil Milana Construction Company, Inc.
Golden State Garage Doors, Inc.